"Mama's boy" is at term usually used to describe a human male's exceedingly close relationship with his mother. But, when you really think about it, I guess it should come as no surprise that human sons are not the only species that attach to their moms. That is exactly what the latest research about Galapagos Island sea lions, as reported in the journal Animal Behavior, has confirmed. Like many other species, such as Galapagos Blue Footed Boobies, the male sea lion doesn't venture far from his mom. 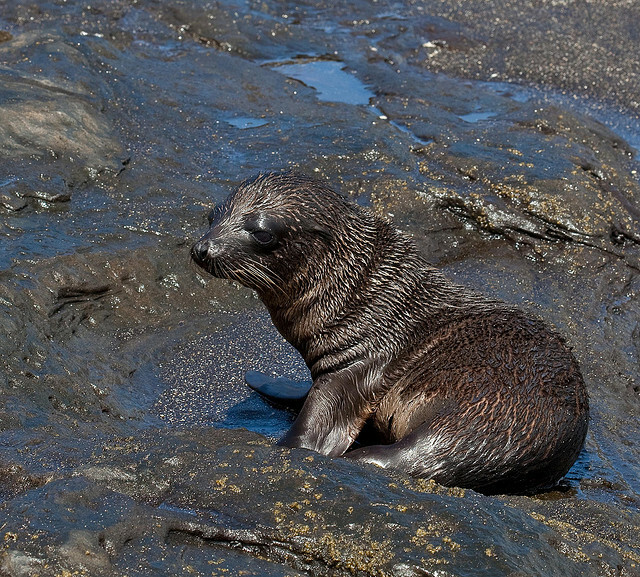 Male baby sea lions stay close to and rely on their moms for a much longer period than their female peers. Long after the little boys grow big enough to be capable of hunting and fishing, they still laze around dependently on their moms far after their sisters have ventured out on their own and learned to forage. It seems that the males have it made from a physical and (from what we as humans would refer to as a psychological) point of view.